We had a little medical emergency with our youngest daughter this week. The short version is that she was diagnosed with Graves Disease and that caused her heart to go into tachycardia. We are still waiting to get in to see the endocrinologist to start her on thyroid meds, but in the meantime, they have put her on a beta blocker to lower her heart rate. Who isn’t going to spoil their baby when they feel bad? And what better way to show your love than to fix one of their favorite meals? 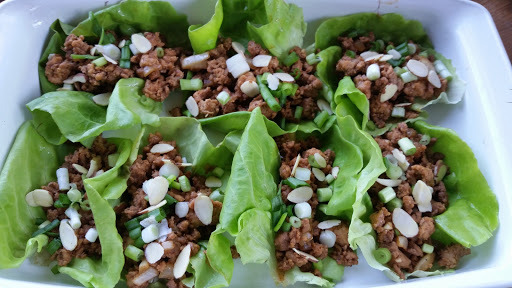 One of her favorites is PF Chang’s Turkey Lettuce Wraps. This recipe is a very good adaptation. Add one tablespoon olive oil to a medium saute pan. Brown the turkey meat until it is cooked, about 5-6 minutes. Drain well. 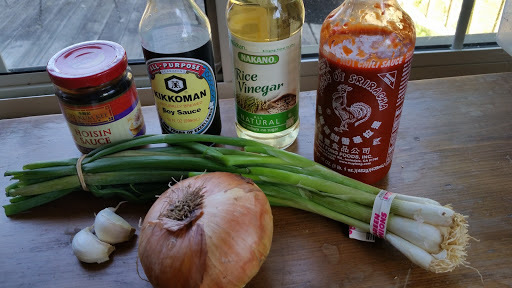 While the turkey is cooking, mix the next seven (7) ingredients together in a small bowl. Add the mixed ingredients to the turkey and cook for 3-4 minutes over medium heat until the onions are translucent. 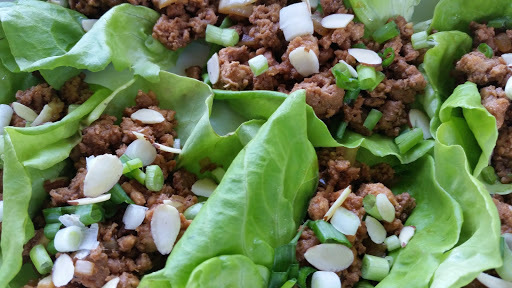 Separate the lettuce leaves and place a serving size spoon of the meat mixture on the lettuce. Top with the green onions and almonds. We ended up with 7 for dinner (I doubled the recipe) and everyone loved it!